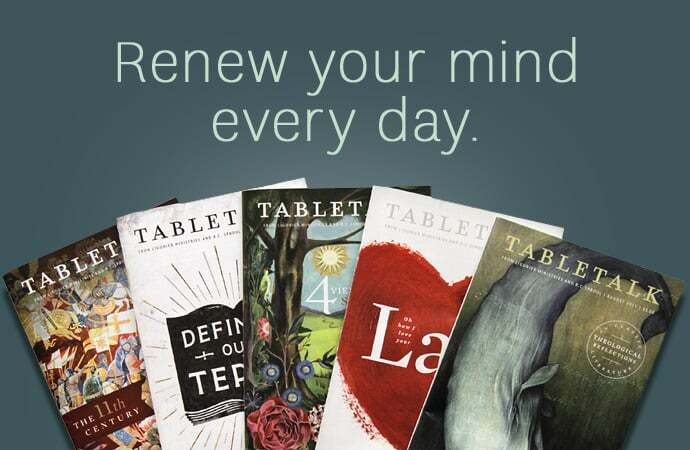 Three reasons why you should get, give, or renew a Tabletalk subscription in 2012. Tabletalk‘s daily Bible studies offer structure for your devotional life. Bringing the best in biblical scholarship together with down-to-earth writing, Tabletalk helps you understand the Bible and apply it to daily living. Each issue contains thought-provoking, stimulating articles on a wide variety of issues related to theology and Christian living, written by eminently trustworthy teachers—names like Sinclair Ferguson, Albert Mohler and R.C. Sproul. Tabletalk avoids trends, shallow doctrine and popular movements to present biblical truth simply and clearly, in keeping with the fullness of the Christian faith and Reformed tradition.